Ingrediants Walmee ( Glycyrrhiza glabra) , Walmadata ( Rubia cordifolia) , Iramusu (Hemidesmus indicus ) , Sesame oil (Sesamum indicum) and etc. 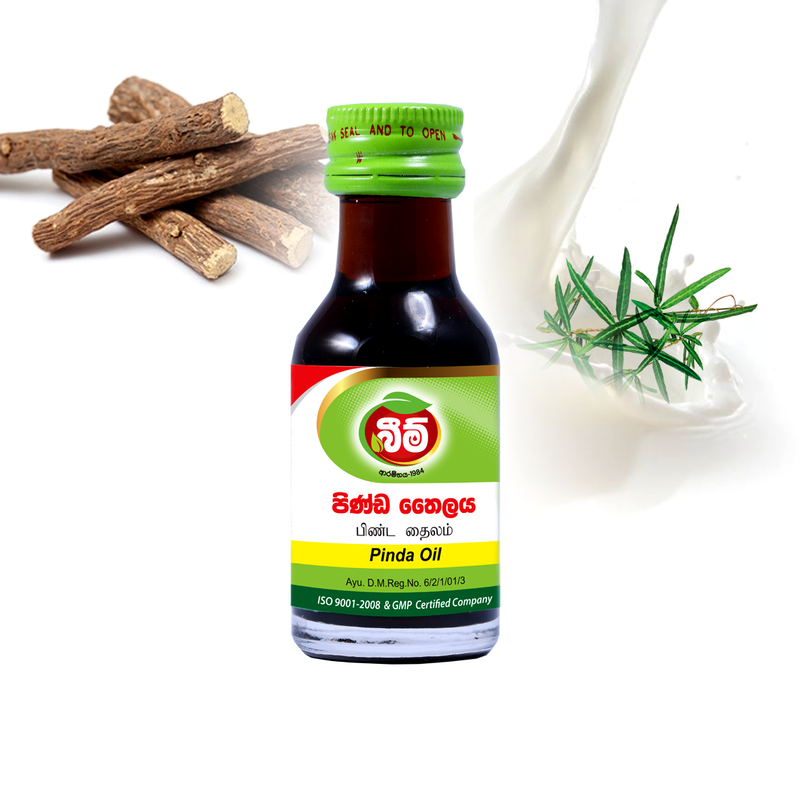 Therapeutic Effects Especially useful for rheumatoid arthritis (due to amavata), swelling, stiffness, heals foot blisters and burning sensation. An excellent application for numbness of the limbs and chronic dermatitis. ගුණ: දාහාධික කුෂ්ඨ, යටිපතුල් පැලීම හා දැවිල්ල, ඉදිමුම සහිත වාත රක්තවලදී බාහිර ආලේපයට ඉතා ගුණදායකයි.